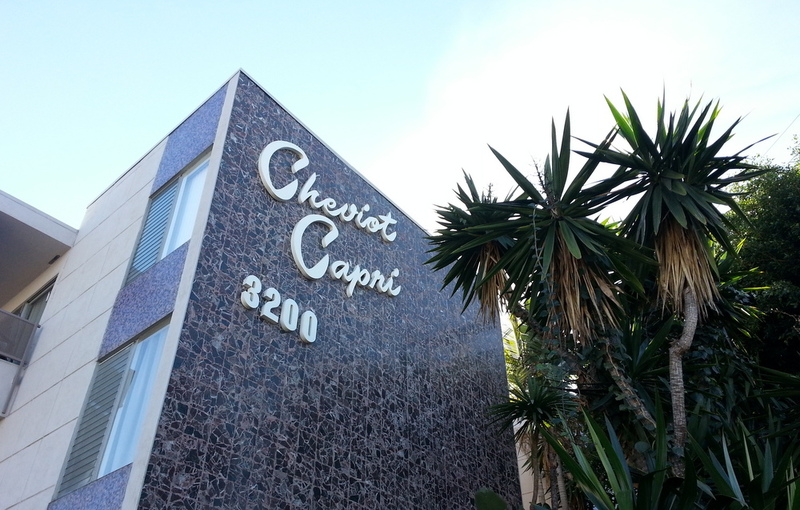 Like most people, when I first drove by the Crapi Apartment complex I assumed it said “Capri”; trying to make the renter feel as though they were living in a sunny villa along a picturesque Italian coast. 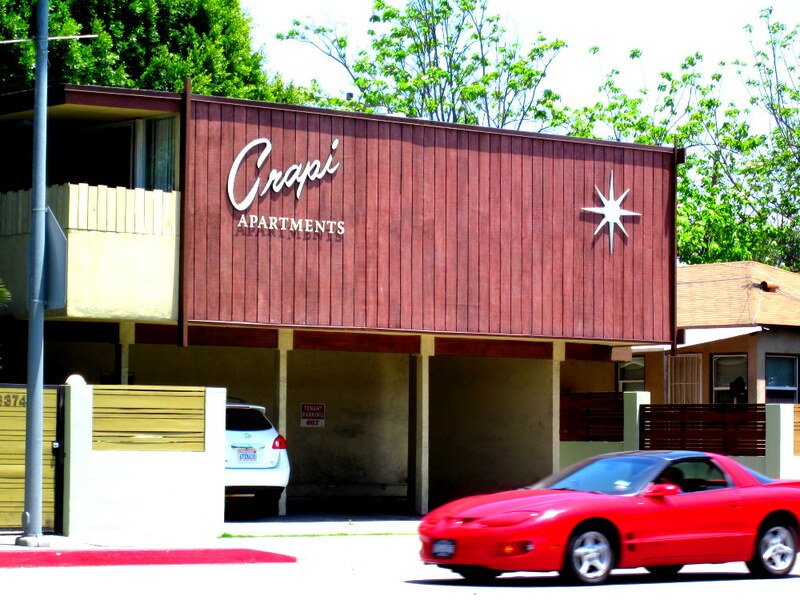 After doing a triple take one day I realized that no, my eyes were not playing tricks on me, this apartment complex was indeed named the “Crapi” (crappy) Apartments. It was already a stretch to believe this complex would make anyone feel as though they were on a Mediterranean beach sipping sangria but this shattered the fantasy altogether. All of a sudden you knew exactly where you were; on a busy, loud, somewhat dirty section of Overland Avenue in Los Angeles, California. 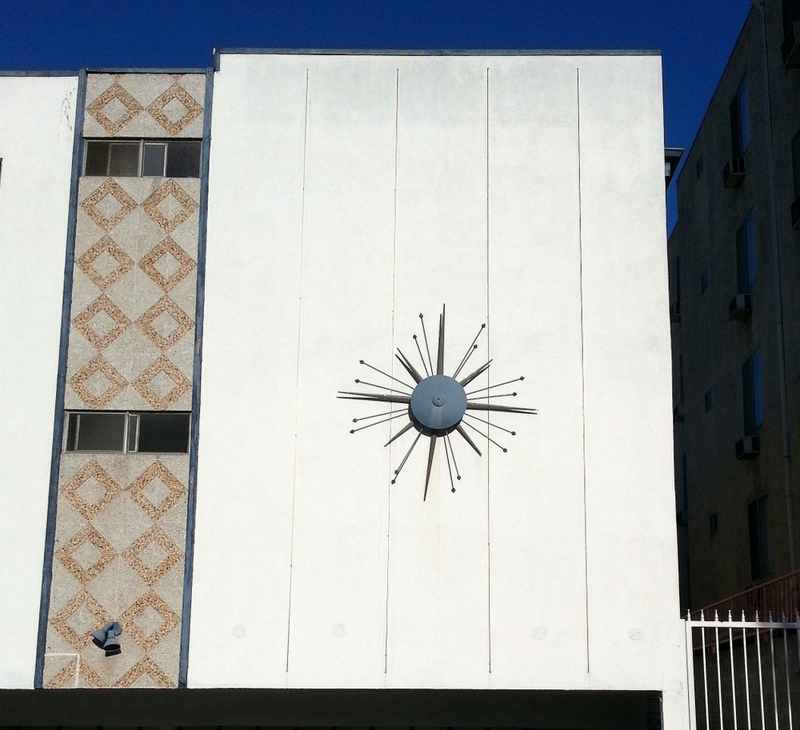 What were the apartment owners thinking? They must be foreigners, I thought and didn’t have a handle on their English yet. But wouldn’t someone have told them? How did this get overlooked? And what about the people who live at Chez “Crapi” – do they realize it’s spelled wrong? 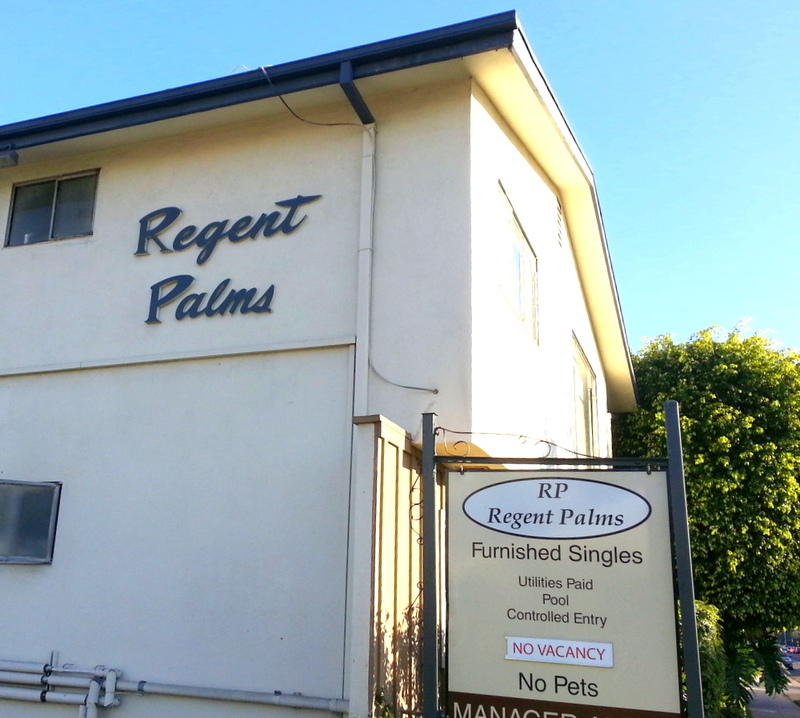 Are the apartments actually crappy? 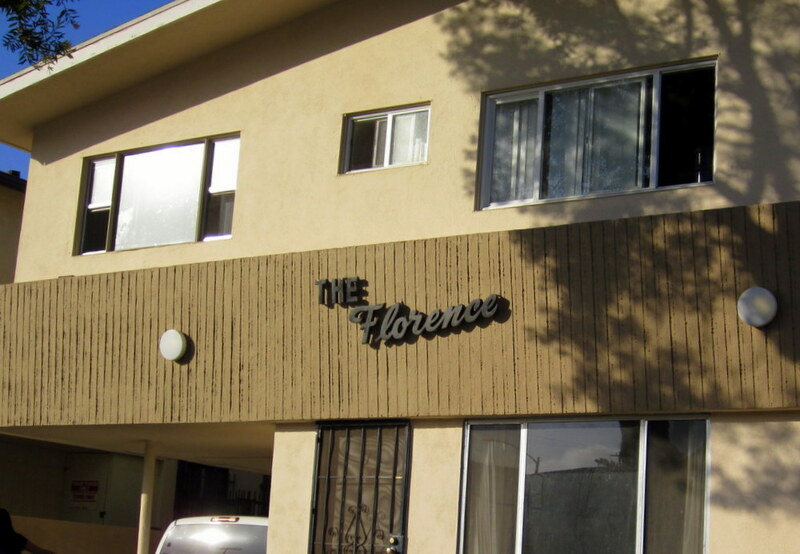 After a quick Google search I discovered that the apartment owners simply have a sense of humor. This of course makes the most sense but I’ll admit, I was disappointed that it wasn’t a long overlooked spelling error that I alone had discovered. 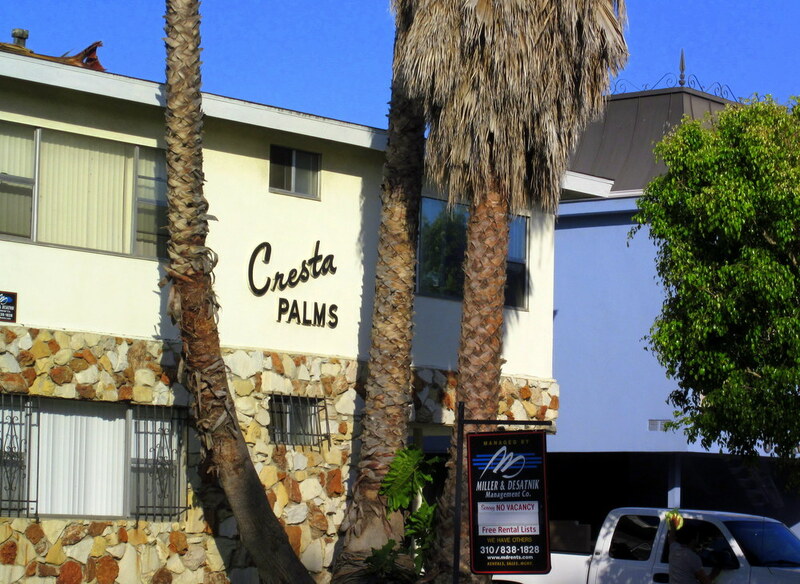 I did however find out that the apartment owners also have a complex just around the corner called the “Chee Zee” Apartments. Okay… that’s pretty funny. It’s nice to think that there are some apartment owners out there who might be really cool people to rent from. 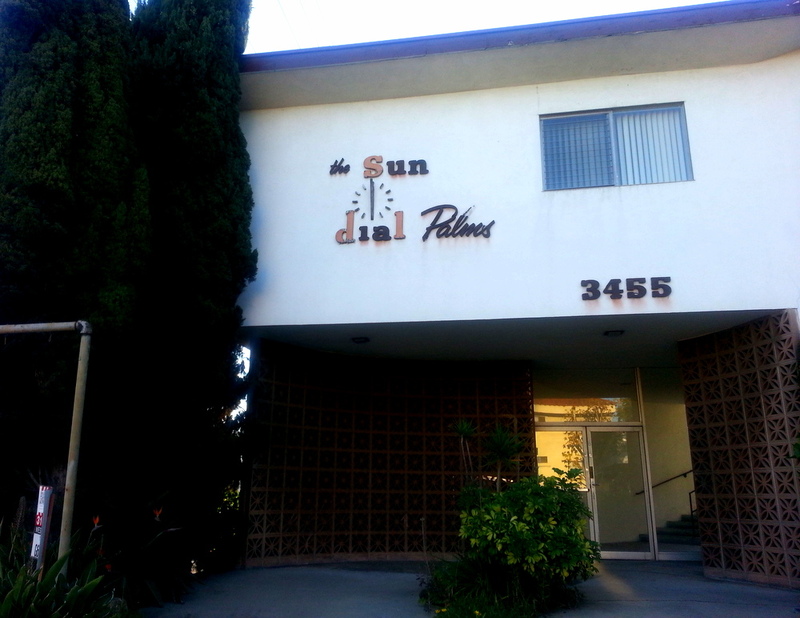 My neighborhood is filled with amusing apartment names which I regularly admire and contemplate on my walks. 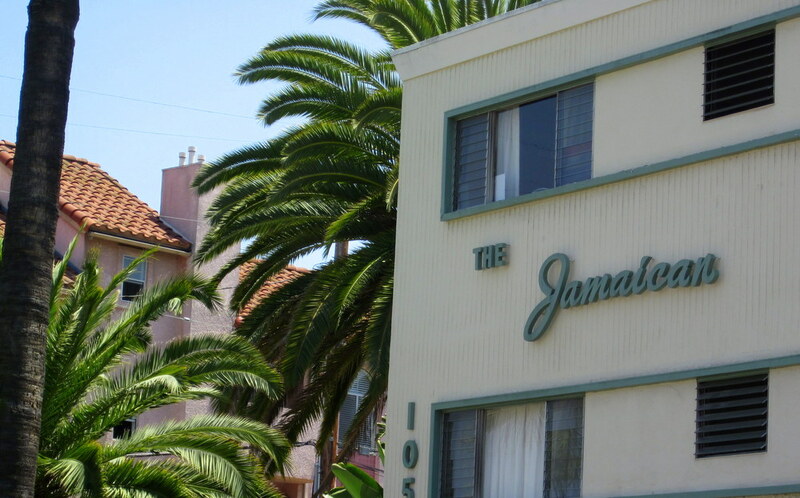 Many of the complexes were built in the 1950s and 60s and I can’t help but wonder how and why they got their names. 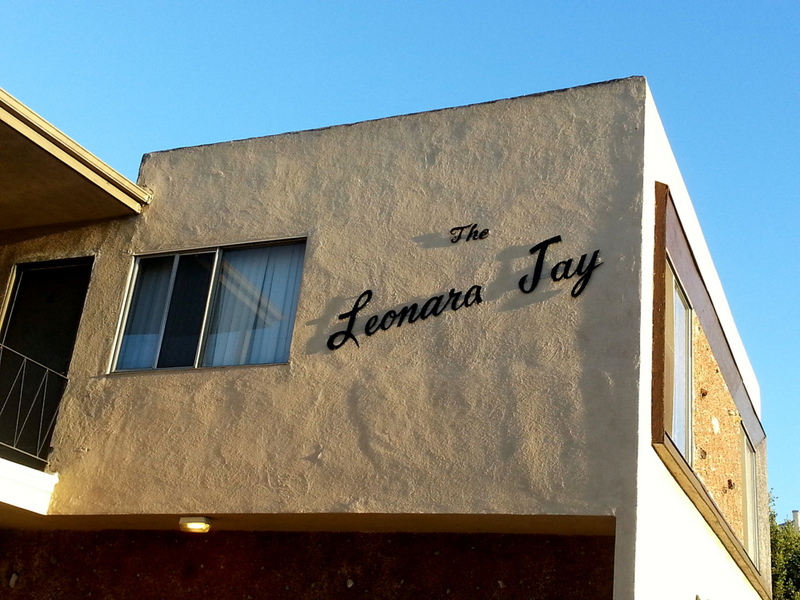 Take for example the “Leonara Jay” Apartments below. Who was Leonara Jay? 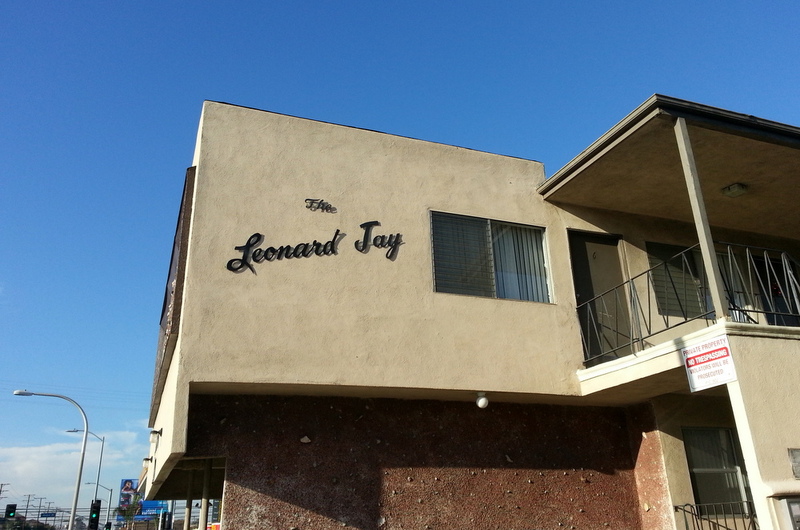 Months after taking this photo, I happened to be walking the other direction and noticed that the other side of the complex is named the “Leonard Jay.” Were they husband and wife? Were they brother and sister? I’m sure somebody out there knows. Either way, it makes me happy that someone took the time to name the complex. It feels like a great aunt or uncle with a few good stories to tell. 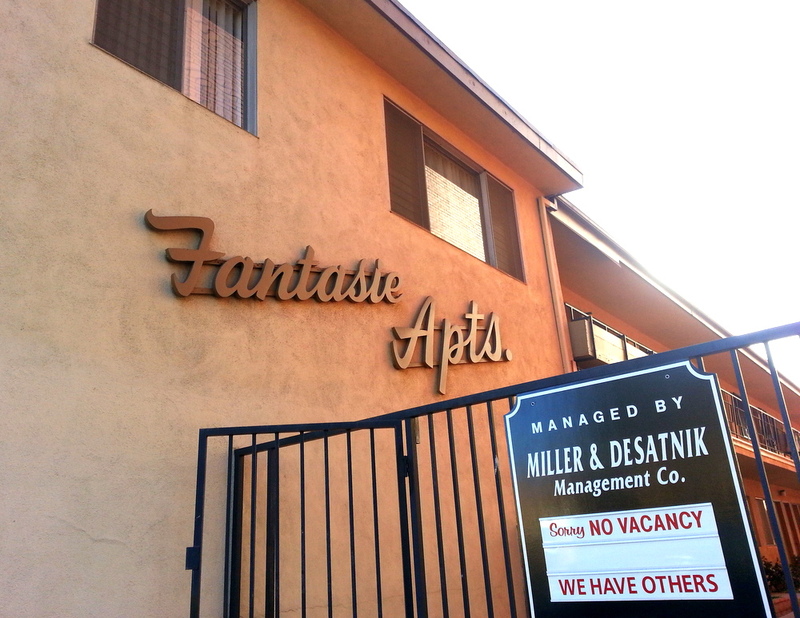 Recently, while walking down Motor Avenue, I happened upon the “Fantasie” Apartments. I have walked past this alleyway dozens of times and never noticed this sign. It seems unfortunate to me that such a beautiful sign would be stuffed between two buildings, certainly lessening the possibility of this being anyone’s “fantasie.” I would imagine though that there was a day when this complex stood proud and alluring, newly built on Motor Avenue, just a stone’s throw from the glitz of Sony studios. I’m not sure why I like the apartment complex names so much. 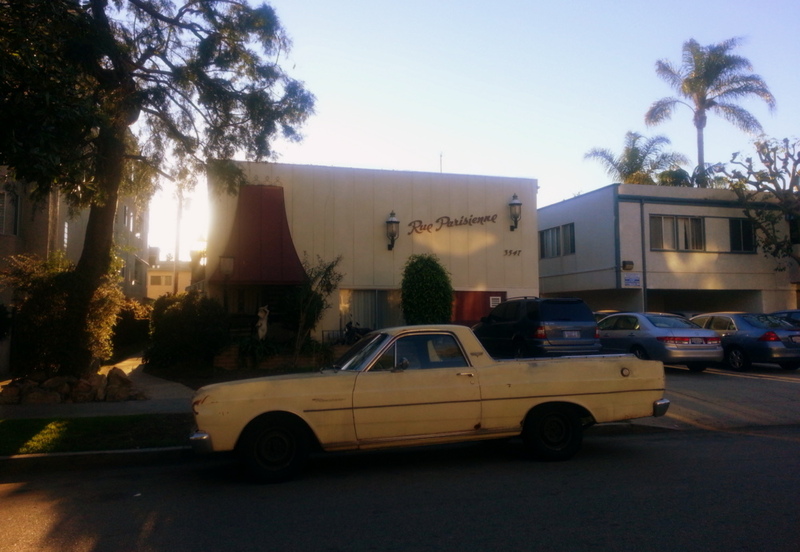 They invoke a sense of nostalgia I suppose, for a past Los Angeles I like to imagine experiencing. 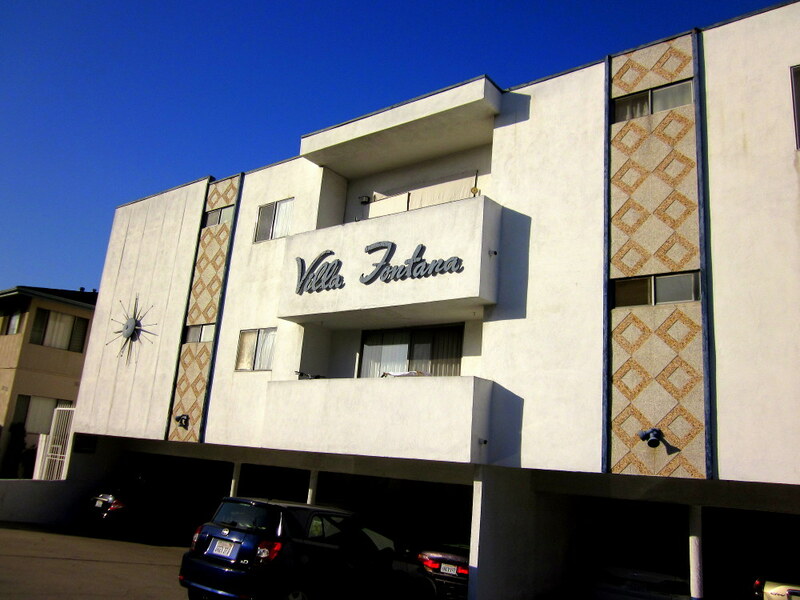 A mid-century Los Angeles full of atomic starburst designs and lava rock décor. I like that somebody tried at least to bring some imagination and intrigue to these simple, somewhat boring, rectangular buildings that countless people move in and out of year after year. Why not make it fun?